Last week we were given our first official image from the upcoming Hobbs and Shaw, in which the titular pair exchanged some tense stares. 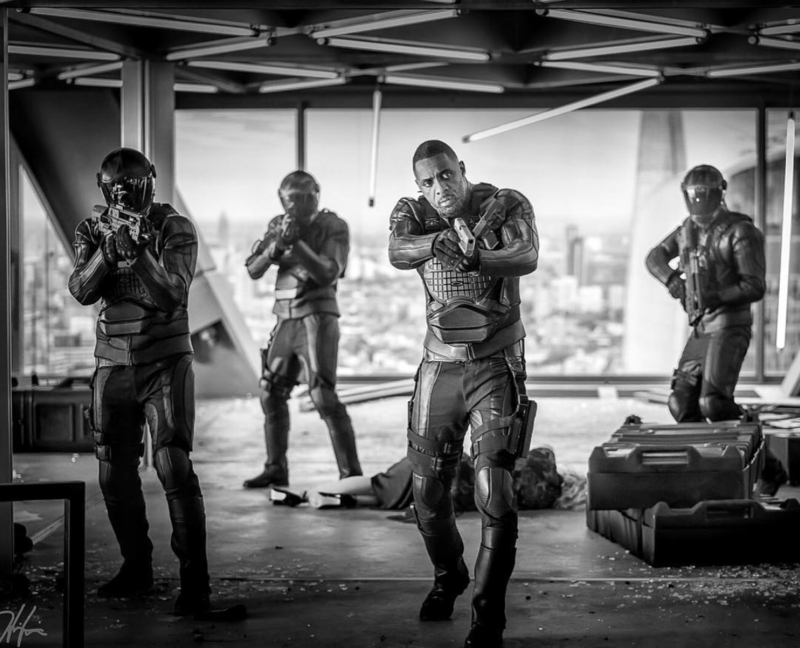 It was a nice start to the promotion of the upcoming Fast and Furious spinoff, but as Dwayne “The Rock” Johnson himself says, heroes are only as great as their greatest villains, which brings us to this new photo of Idris Elba as the pair’s next antagonist. The pic comes to us via Johnson’s Instagram, and features the man everyone wanted to be the next James Bond pointing his gun at some unseen opponent while backed by three armed and helmeted associates. In background, you can also see a person lying on the floor, possibly killed, and there’s a good chance that Elba and his peers had something to do with it. Johnson, of course, will be playing the Luke Hobbs of the film’s title opposite Jason Statham as Deckard Shaw. On directing duties is Deadpool 2 and Atomic Blonde helmsman David Leitch, who was seen last month in a set photo alongside Statham and a very expensive-looking car. This is still a Fast and Furious film, after all. Though the two leads of Hobbs and Shaw have a rocky history together, the arrival of this Brixton character could be enough to unite them in their first standalone effort, but don’t be surprised if old grudges still come to the surface when the pic hits theaters on August 2nd, 2019.